It is that time of year again when the kids go back to school, the air has a particular crispness, and the leaves start creating a beautiful mosaic of colors. The time between what can be extreme heat and extreme cold is the perfect time of year for playing outside. 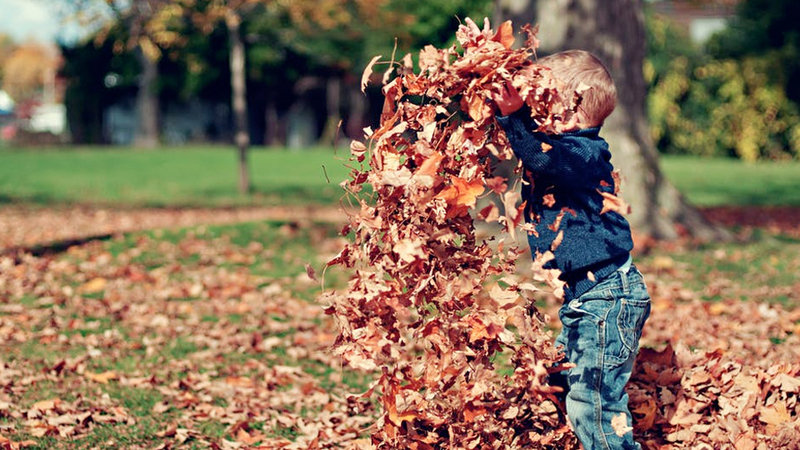 With that in mind, here are a few fun things your kids can do during autumn time. Remember being a kid and jumping in freshly raked piles of leaves? Kids still love to do that! Instead of being annoyed at your hard work being ruined, you can simply rake it all up again to continue the fun. You can create several piles, or one large one. Having several piles makes it a perfect spot for a game of hide and seek. Forts, beds, and other imaginative creations are all just at the swipe of a rake. The one thing that is unmistakable about fall is how beautiful it is because of the colorful leaves. Grab a basket or a bucket, and search for different types of leaves all over the neighborhood. Your child can collect different colors and different shapes. You could even hold a competition or a scavenger hunt for several children. This is a great learning opportunity, as you can teach them about trees from which the leaves came, and how the leaves will regrow in the spring. Collecting leaves is the first step to creating a fun leaf-based craft. Trees don’t just get planted in the spring. There are many places where the fall is the best time to plant a tree. That way, it will already be a little bit mature when the growing season starts in the spring. Kids can dig the hole and help put the tree in. Then they can refill it, and watch the tree that they planted grow throughout the years. You can even give them the responsibility of watering the tree, even if it doesn’t really need it. As you can see, there is so much for your kids to enjoy in the fall. Get out there and have some fun!